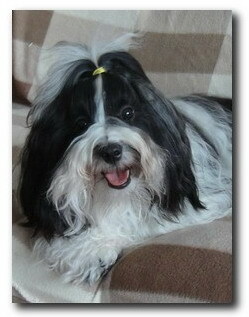 Adult Havanese male for sale! More information on request! Reasonable price! Primus is black and white male with very promising exterier, wide jaws, in correct position, very nice regular markings on beautiful head, straight legs and back and nice coat texture. He will be very promising for shows and breeding also. 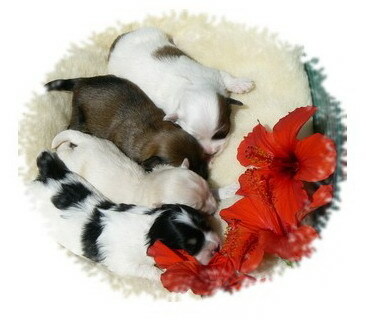 This is repeating of our M litter . 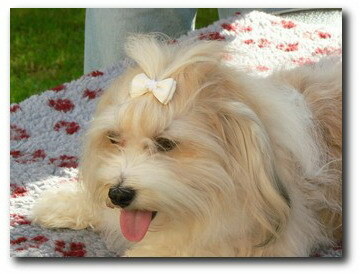 Puppy will be several times dewormed, vaccinated, microchipped, will have Pet-passport and FCI pedigree. He will be accustomed for big dogs, cats, children, car, walk on leash, call in, etc. He will have equipment for the first days in new home: harness & leash, stainless bowl, favourite toys and tidbits and food puppy was used to.